1. Recent events reveal serious weaknesses of the stakeholder theory about the social responsibilities of business which lacks prohibitions against fraud and deception. This is a glaring deficiency of standard versions of the stakeholder theory, but it is easily remedied by adding explicit prohibitions against fraud and deception. In addition, recent events highlight the stakeholder theory's very naive and unrealistic hopes and expectations for business executives as moral arbiters and agents of social improvement. 2. Recent events do not constitute an objection to the shareholder theory about the social responsibilities of business, however, these events make evident the implausibility of strong versions of the invisible hand theory. 3. Schemes of payment and reward often create perverse incentives for individuals to engage in unethical conduct. 4. 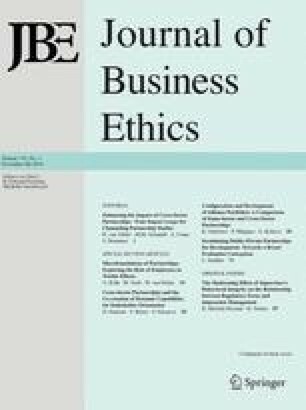 Both the shareholder theory and the stakeholder theory need to add a constraint that requires executives to respect the professional obligations of employees. 1.Department of PhilosophyLoyola University ChicagoChicagoU.S.A.